Snapchat is an image messaging application software product Evan Spiegel, Bobby Murphy, and Reggie Brown created when they were students at Stanford University. With studies at Stanford, began their career with the important support of some of the biggest names in Silicon Valley and predicted that in the not too distant future people would pay for an experience of communication networks. Such forecasts began to occur in 2012 where he began to succeed in many American schools, but soon created great concern among parents and adults, because the application was paid to exchange sexual images among adolescents. But this problem was not an obstacle, since about 100 million Snapchat users use every day in the US alone 86% are under 35 years. In schools Snapchat was its success in 2012. But why is it so popular among young people? For the application meets all the conditions to attract children while parents away. Navigability is not simple, it is possible to hide the real identities and images have a lifespan of only seconds before self-destructing. 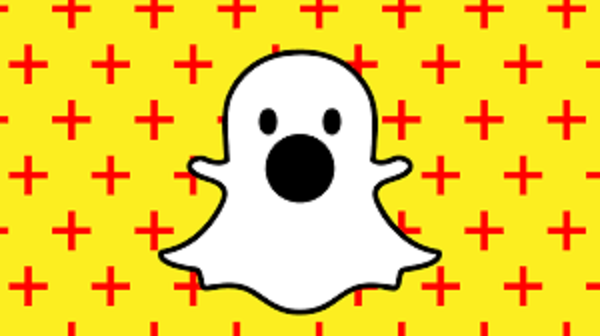 Privacy by registrars in Snapchat is simple, a phone number and an alias is only necessary. Besides the only way to find another user, it knows your username in the social network. One of the specialists in social networks Princeton University Ryan Maguire explains that in a digital era and which currently vivimo, which is loaded with personal information that accumulates over time, exactly as happens with Facebook, young people are more concerned with communicating with a few close friends who tell their stories to the world. Snapchat by his side erase all contents 24 hours elapsed. Big difference to other social networks like Facebook or Instagram, which are able to store photos and videos from the date the user opened your profile. This simple fact that no content prevails gives more freedom to users in publishing, which has made the interaction with others more naturale and entertaining, as experts explaining social networks. Users of the app will not have why interact with others, it is more, not even have to create their own content. “These are not social networks. Is the result of collaboration with the media leaders to build a format that prioritises telling stories,” said Snapchat in a statement. – With Snapchat you can enter profiles recognized means such as BBC, CNN, The Wall Street Journal or even television channels such as Comedy Central which should update their content every 24 hour. It is always really latest content. – The news boosted the popularity of the app, which accentuated the new phenomenon of Live Stories or stories live. – The famous cover stories live mass events such as the Oscars or the Super Bowl (with snaps made by the users themselves). Visit http://wikimodel.org/ for more like this article.